Lucas Equine Equipment had the privilege to be a part of the Bella Equestrian barn project in Wellington, FL. We followed up with Sue and Jorge Valdes,the farm owners, when the barn was complete and this is what they had to say about their love for horses and their experience with LEE. "It is amazing to see the diversity in personalities among our horses. Their beauty extends beyond the physical. It brings us great joy to walk through the barn and appreciate God's hand in these beautiful animals." "We have had extensive experience for over 30 years in building barns. For our Wellington barn we wanted a mixture of elegance, functionality and craftsmanship. In our extensive research only Lucas provided this mix. We found in Frank a very pleasing and knowledgeable salesman and most importantly he was not overbearing. This is the reason we returned to Lucas for our second Wellington barn project. Our mission when we started Bella Equestrian was very simple: allow our daughter Isabela to live out her life long dream of riding jumpers. A passion she has had since she could walk and talk. 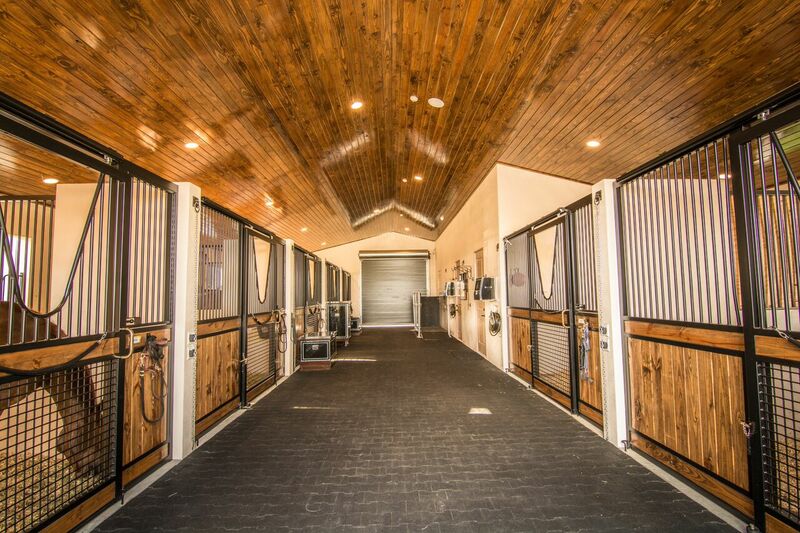 "We have owned very large horse operation in the past and have constructed numerous barns. In Wellington, one must do with 2-4 acres what others do in 50 acres. Our vision was very clear to build a small but state of the art facility, and after researching all the leading stall providers we were convinced that Lucas was the total package. No pressure sales, extremely professional and knowledgeable representatives who did exactly what they said they would do and MOST IMPORTANT WHEN they said they would do it. The experience was so great when the time came for a second barn, we didn't hesitate to call them!" Lucas Equine is very proud to have our barn equipment featured in this beautiful Wellington equine property. The staff at LEE would like to thank the Valdes Family for allowing us to be a part of the Bella Equestrian Barn project.